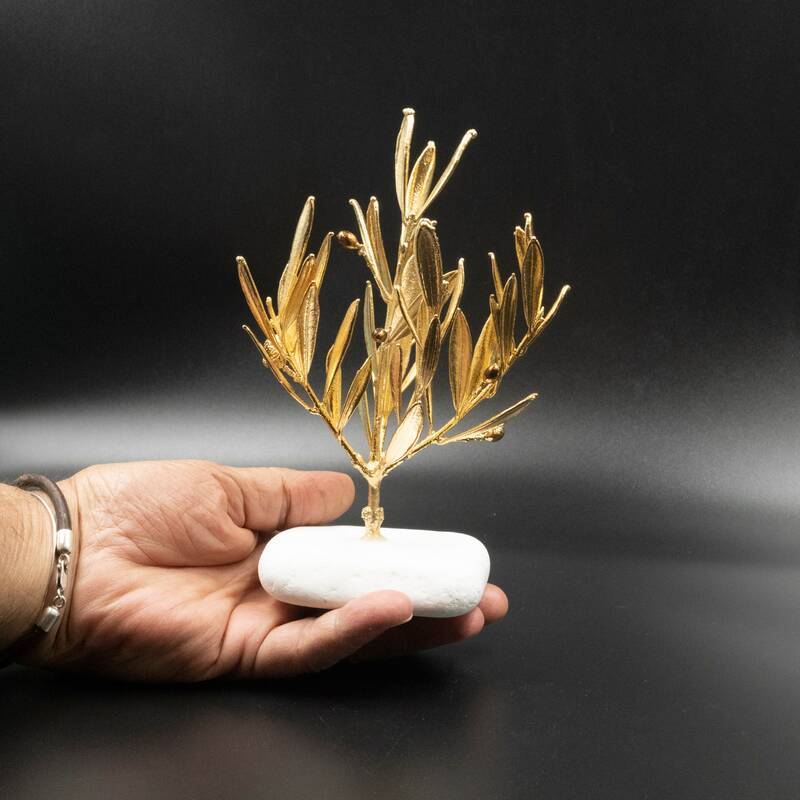 Greek Olive Tree Real Natural Branch, Gold Olive Twigs, Gold Electroplated Real Olive Organic Eco-Sculpture, Greek Nature, Home Decor. 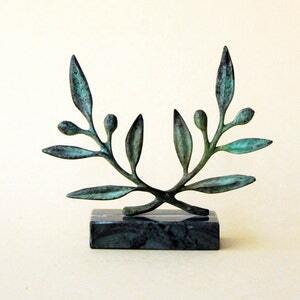 A real olive branch from the Greek groves. 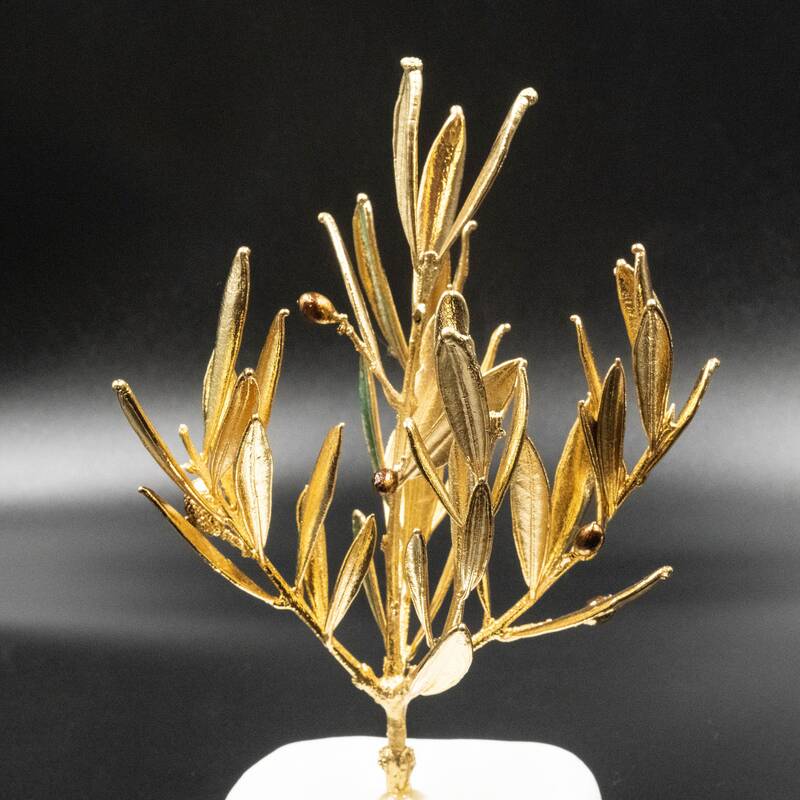 Electroplated with 24 karats pure gold and mounted on white Greek marble. 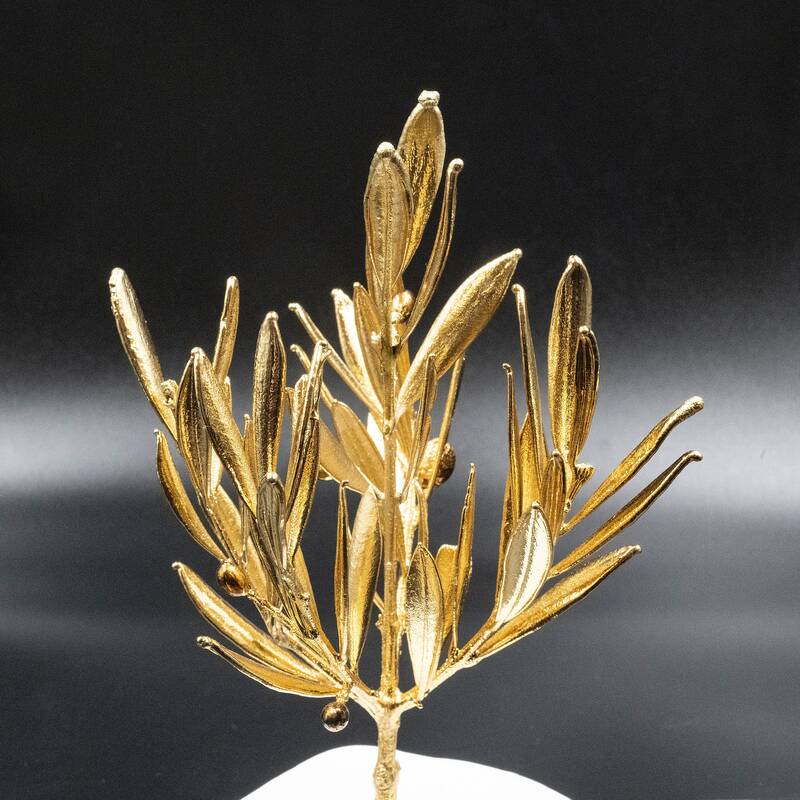 The olive branch retains size and shape since it is totally covered in gold metal. 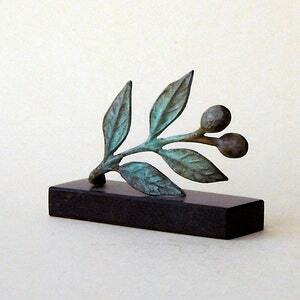 Width: 5 inches / 12 cm approx. 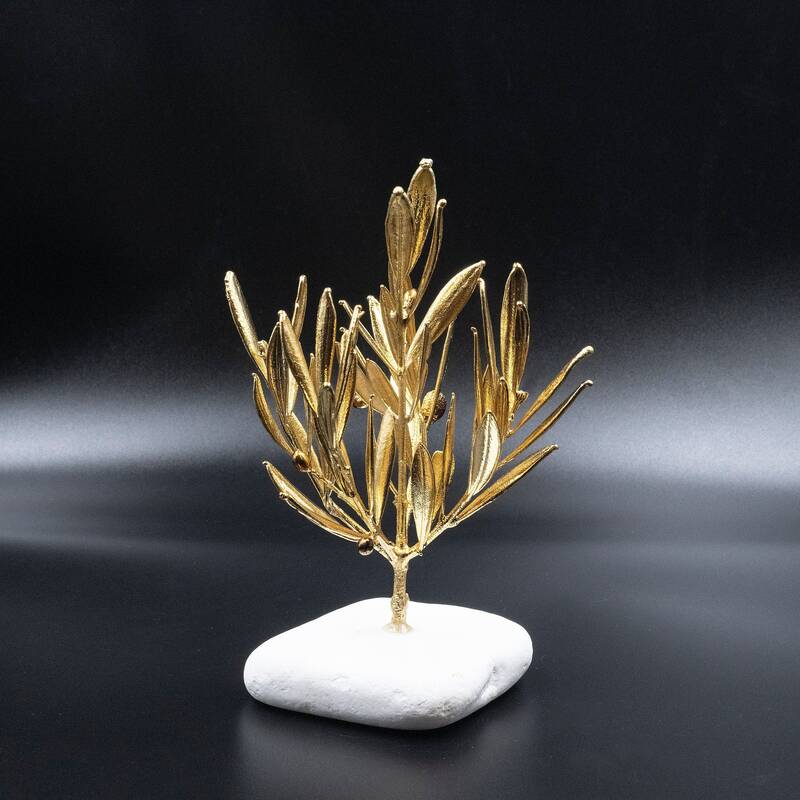 As this item is handmade, measurements, surface texture, tree shape, and marble color/shape may vary. 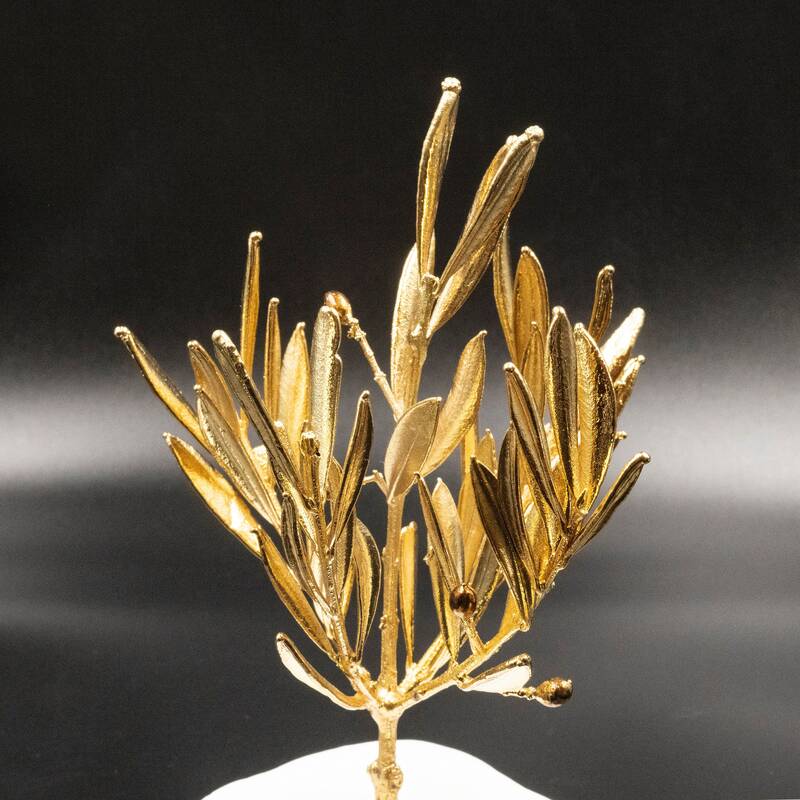 This branch is from a real olive tree. 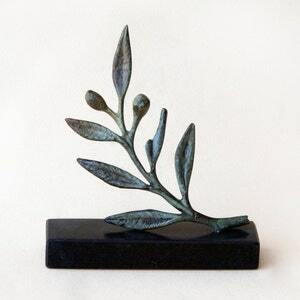 Thus there are no two alike, just like in nature. 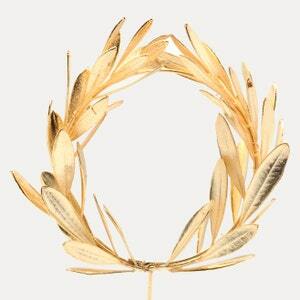 the patron goddess of Athens, to whom she gave the olive as a gift.